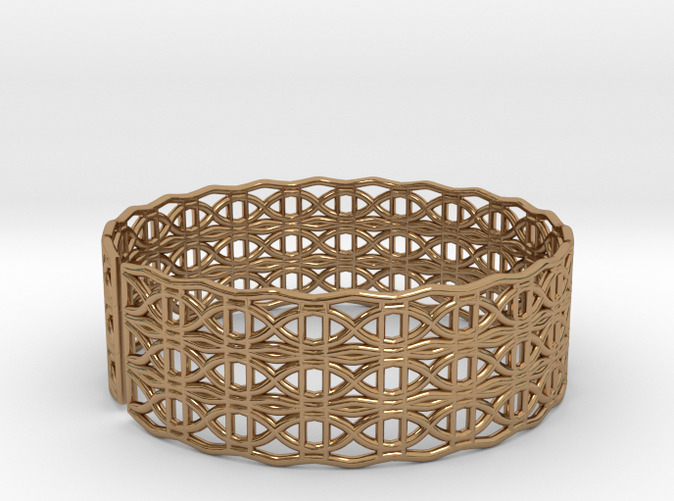 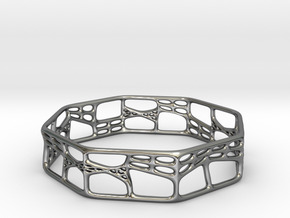 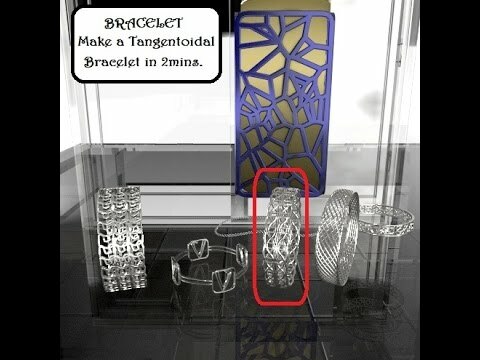 Tangentoidal Crown Curve Bracelet - This bracelet was made using the app Fluid Designer for 3D Printing (Parametric Blender). 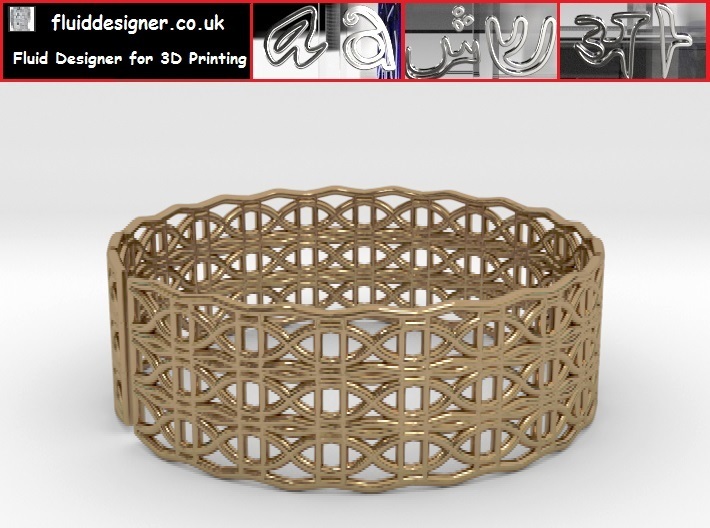 It can be fully personalised with different charachters, different thicknesses and different patterns. 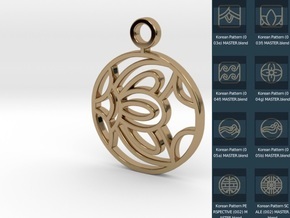 In addition to modifying the design text can be added with a range of fonts including Harrington, Brush Script, Lucida, Snap as well as Arabic, Hebrew, Hind, Korean, Turkish, Russian, etc.